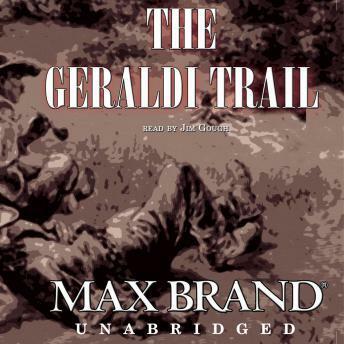 Many a rancher or townsman has become a loyal friend when James Geraldi rescued their savings, and many a bandit has been conned or bested by him. But just when he is to marry and settle down, a rash move has made Geraldi a wanted man. Very good, one of the better books I've listened to. In most of Max Brand's westerns he creates bigger than life characters and he doesn't disappoint with James Giraldi. The story is unlikely but entertaining and Brand creates likable characters and moves the plot forward through good use of action and language.